about this book: For those interested in World War I, women's suffrage, Irish and British history in the 20th century this book is for you. 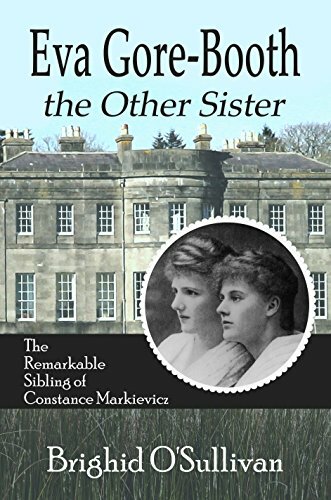 It is a short biography of the remarkable sister of the more well-known Constance Markievicz. Constance, who was 2 years older than Eva, was known as the Rebel Countess in Ireland for her part in the Easter Rising of 1916 when she put on a soldier's uniform to rebel against British rule. Although the two sisters had similar interests in that they spoke out about social injustices, Eva was a pacifist, quiet, and frail. The two girls were as different as could be but remained close their entire lives to the point that they felt they could communicate telepathically when Constance was incarcerated. But this book is not entirely about their relationship but about the life and struggles Eva Gore Booth took part in. The fight for women's suffrage and several other worthy causes. She fought with her pen and her mind. She was a friend to all. Both sisters were loved very much by those who knew them.